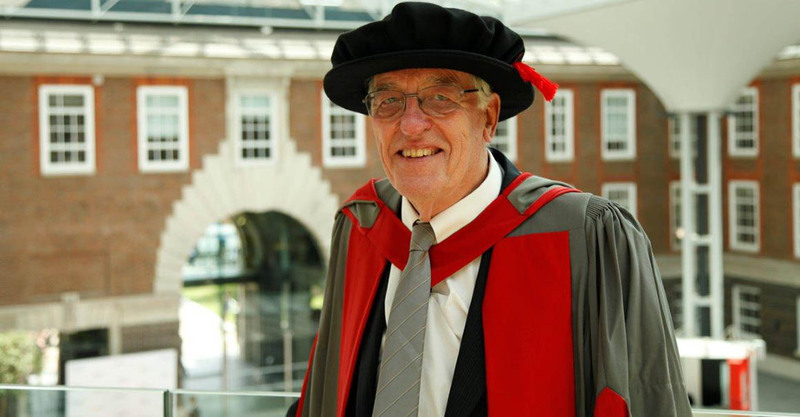 John Lawrence James, from Wimborne in Dorset, has been awarded with an Honorary Degree at Middlesex University’s graduation ceremony today. John’s biomedical science expertise culminated in world-wide responsibility for quality and competence in medical laboratories. He has been involved with standardisation in laboratories for nearly 40 years and still chairs three British Standards Institution committees. "I am greatly honoured by this award from the University that puts down a marker to which others should aspire," said John. John has been a keynote speaker at many international conferences and seminars and has also played a key role in World Health Organisation conferences, including Technology for developing countries.